Last year a damning report by the Children’s Commissioners for England, Wales, Scotland and Northern Ireland warned that rising levels of child poverty require “urgent attention” from the Westminster government. Austerity policies it said have “resulted in a failure to protect the most disadvantaged children from child poverty, preventing the realisation of their rights”. It outlined that the number of British children living in poverty is set to rise to 4.7 million in the next five years. The cuts were described as a “disgrace” by Tam Baillie, Scotland’s commissioner for children and young people. “It is deeply disturbing that the UK Government, aware of the current and future impact of its cuts, appears to be targeting the most vulnerable people in our society,” he said. The Governments response? To try and redefine what is means to be poor. Now they’re doing the same with war crimes. Defence Secretary Michael Fallon claimed to be “enraged by ambulance-chasing lawyers” – so much so that he wants to stop human rights law covering troops in action. Remembering the appalling torture and murder of Baha Mousa in 2003, and considering that the Iraq Historic Allegations Team (running into millions) is still investigating a military mission what ended in 2009, this is an astonishing response from David Cameron. 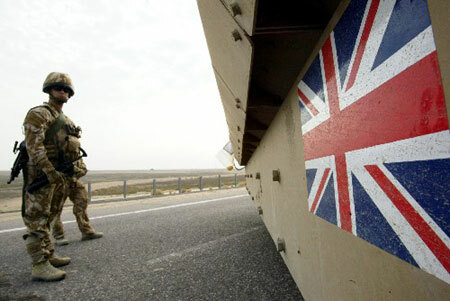 Given that the government has now paid compensation for over 300 other cases relating to abuse and unlawful detention of Iraqis, the idea that soldiers being equal in law isn’t ‘spurious’ – in fact it makes a mockery of the entire raison d’être of the war itself. If you’ll remember we were told endlessly we were “defending freedom”? The government we didn’t elect is attempting to re-frame the world to defend itself. It’s imposing ideology over reality. Another great article, concise and punchy! Thank you. There’s a weird formatting error on the site which is showing each instance of “f i” as “if”? A good piece. The hypocrisy of Cameron’s gov’t is relentless. I seethe when Fallon appears, with his faux outrage at all our imagined enemies, trying to kill us, when the UK gov’t is doing that. Iraq is important for analysis, because the conditions there birthed Da’esh. Cameron and Fallon are trying to appeal to those who support the fading empire, and troops that trampled all before them. I have respect for our troops, but they have to be subject to the law, and conventions around war, or we are no better than Da’esh. There must be something nasty uncovered, and they are whipping up emotions around our brave soldiers, to lay the ground. Those acting properly have nothing to fear from ambulance chasers who are more than likely pursuing justice, as who would waste time on trying to smear soldiers. And all the while the real criminals, the politicians who involved our armed services in these, probably illegal conflicts, go scot free. Of course, they are free to traverse the world, handsomely rewarded by private companies with more money than morals, or feted at home with political baubles. It’s they who should be in the dock, and not some serviceman/woman, who was thrust into harms way, and may, or indeed may not, have misjudged any given situation. Anybody commenting here who has never been in a position where your life is in danger, upholding what you have been told is law and order, is not qualified to judge others. Believe you me, sometimes decisions have to be taken in seconds, and since no one is perfect, mistakes can, and do, happen. As has been said, politicians use these matters to further their own agenda, and in Westminster’s case, to cover their own culpability in the present set of wholly unnecessary conflicts.